Cake can make any special occasion complete. 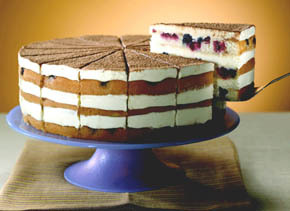 People love, and often expect, a luscious creation to top off a celebration. This confection is often the center of attention when it comes to cutting it at a wedding or blowing out candles for a birthday. There are many options for ordering a custom special occasion cake, from locally to worldwide. Here are some tips for you to make your decision a bit easier. Maybe you�ve recently moved and don�t have the time to investigate new bakeries for cakes. More and more places offer custom cakes online that are shipped just in time for the event. This option can be perfect, as long as you have the time to order the cake and have it sent to you. With advances in technology to keep fresh foods cold and protected, you can have a cake sent to someone special, just like you would a bouquet of flowers. It�s a great gesture for a distant loved one when they have an occasion to celebrate. Sure, it may cost a little more than flowers, but it will never be forgotten! Choosing to use a local source for your cake gives you flexibility with your time and allows you to support local businesses. If you haven�t ordered a cake locally before or if you�re new to the area, begin with asking people where they get their cakes. Most people who have lived in the neighborhood for a while will have their favorite bakery where they�ve been getting their cakes for years. This could be an independent bakery, one that is part of a larger chain or in a supermarket. Visit the recommended locations and pick up a couple of goodies to try. This also lets you know how friendly or helpful the staff is. After all, this could be the beginning of a long relationship. If you have the opportunity, try a cake from the baker before you order one for your special celebration. It is the best way to know if you and your guests will like the cake because nobody wants a flavor surprise at the event. Use this time to speak with the bakers about food allergies and how they handle them. If you can�t try the cake first, look at reviews to find out what others think. Read both the good and the bad to weigh out whether you should give the company your business. Now that you know where you can order a custom cake, let�s look at why you need the cake in the first place. Did you know that the Ancient Egyptians are credited as being the first people to celebrate birthdays? Granted, their idea of cake would have been very different from what we are used to today, but it�s neat to know how old the tradition is. The Greeks celebrated the birthdays of the gods and are responsible for putting cakes and candles together for celebrations. Candles were particularly used when honoring Artemis, the goddess of the hunt. The idea was to have the cake lit up to look like the glow of the moon, a symbol associated with the goddess. In more modern times, Count Ludwig von Zinzindorf put on an extravagant festival to celebrate his birthday in 1746. He decreed that there had to be a cake as large as the largest oven and a candle for every year with an extra one in the middle. The smoke from blowing out those candles is thought to carry a birthday wish to the heavens so it could be granted. Of course, it�s even better luck to blow them out in one breath!